Our product range includes a wide range of perforated cable trays, sheet metal perforated tiles for ceiling and perforated metals. Keeping track with latest market development we are actively engaged in offering supreme quality Perforated Cable Trays that can accommodate large number of branch lines and have high load-bearing capacity. The offered cable tray is checked on numerous parameters so as to deliver a defect free range. 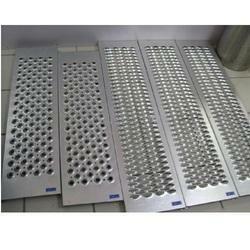 We can customize our perforated cable tray range in following modes like grey color enamel paint or powder coat. Offered cable tray is an alternative to electrical conduit systems. 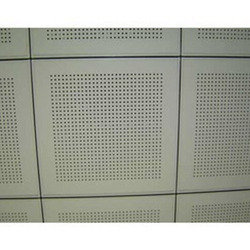 We have marked a distinct position in the market by offering superior quality Sheet Metal Perforated Tiles For Ceiling. Our perforated tiles can provide the perfect solution to multi-faceted design problems of product designers or architects. 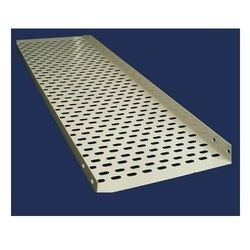 Offered perforated tile is processed under our experts' supervision with the aid of modern techniques and by utilizing quality approved sheet metal in accordance with the predefined quality standards. This perforated tile allow 25% free area, where the newer high velocity air flow panels can achieve up to 70% free air flow. As a reputed manufacturer, supplier and exporter, we are engaged in offering a wide range of Perforated Metals. Supported by a team of diligent professionals, which never make compromises with the quality of the products, we are manufacturing these metals. Looking for Perforated Products ?